got the official update via OTA or KIES, then here is the step by step guide using the factory image to help you upgrade your Nexus 7 manually to the latest Android 4.3 Jelly Bean. Download and install USB drivers for ASUS Nexus 7 in your computer. Enable USB debugging from developer menu. Ensure that your ASUS Nexus 7 carries more than 70% of charge. to Android 4.3 following this detailed guide. 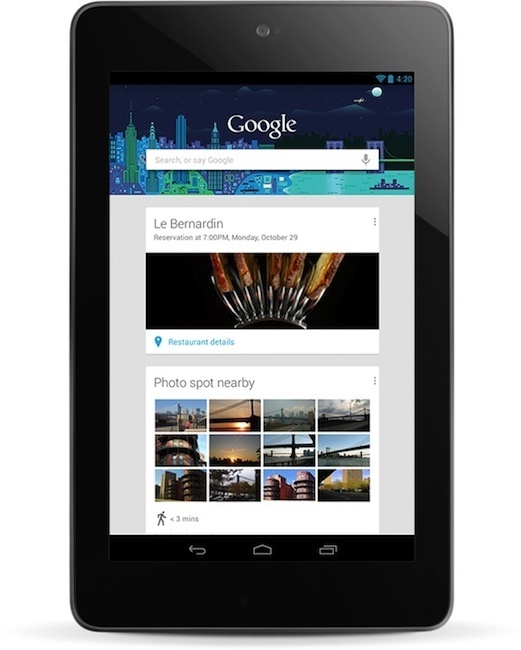 Required files: download Android 4.3 Image for Nexus 7 [WiFi], or download the Android 4.3 Image for Nexus 7 [GSM]. Ensure that Fastboot is installed and properly configured on your computer. Connect your Asus Nexus 7 to your computer using the USB cable and turn off your tablet. Enter in to Fastboot / Bootloader mode on your Nexus 7: switch the tablet on while pressing and holding Volume Up and Power buttons simultaneously until you see the fastboot menu and START on top. Extract the downloaded file on the desktop of your computer or any other location. Go to folder nakasi-jwr66v and copy / paste all the files to your Fastboot directory. and for Linux: run the file flash-all.sh. After that, simply wait until the flashing process is completed. Follow the on-screen instructions on your Nexus 7.
minutes, so please be patient. Nexus 7. Verify from this path: Settings > About tablet.